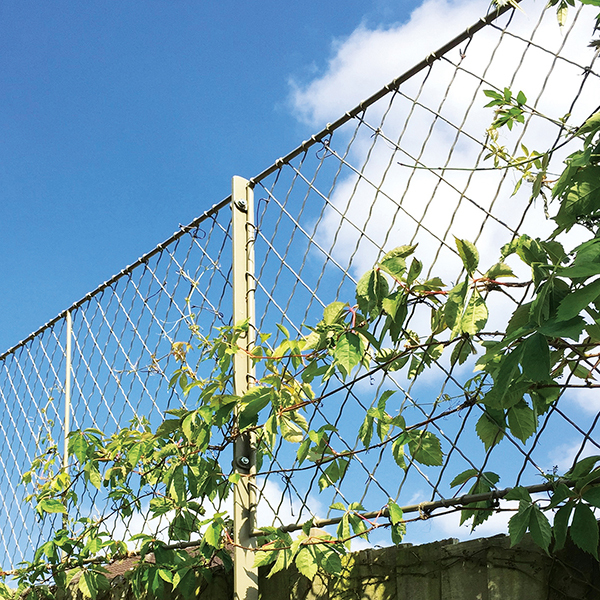 Lighter than timber yet more durable, our trellis panels are the perfect solution for additional screening above your garden or boundary wall. 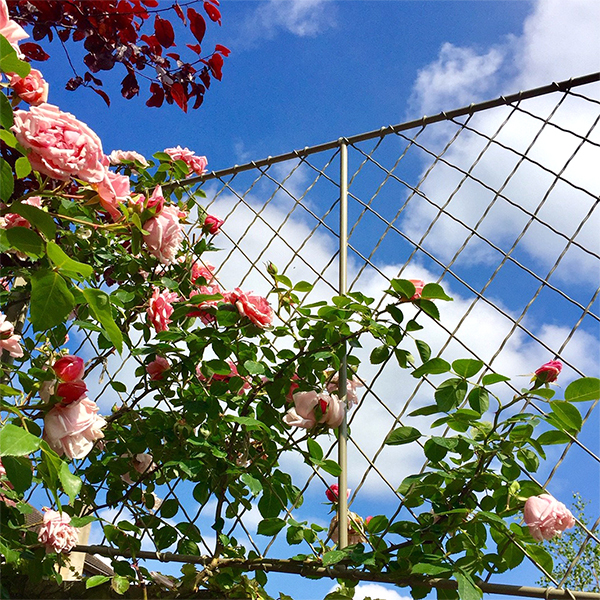 Graceful yet strong enough to support heavy climbers, these trellis panels are easy to fit to the top or front of your wall. 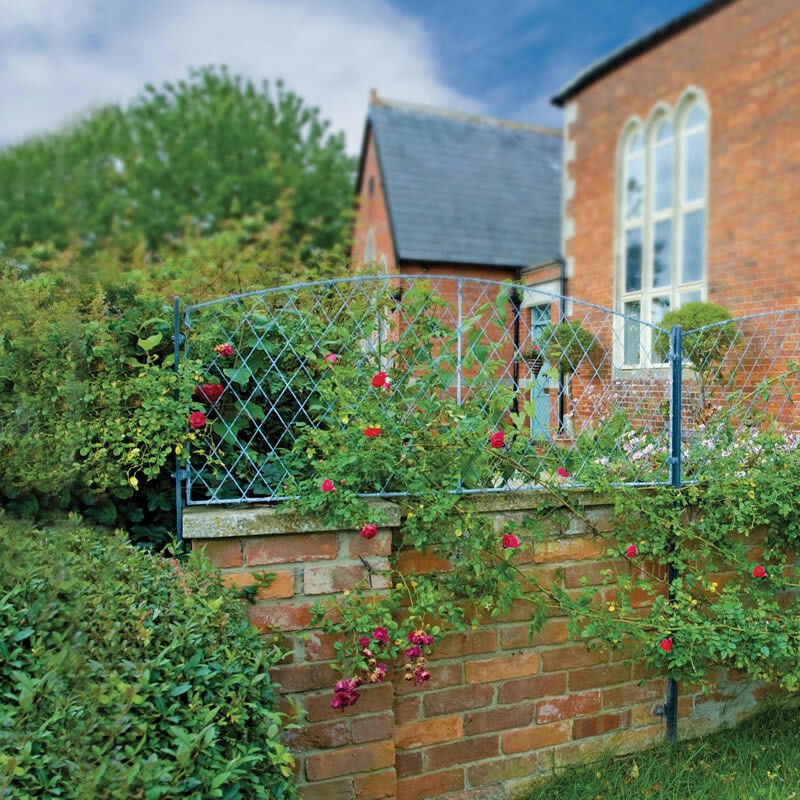 To improve your privacy and create an attractive division between you and your neighbours, choose from our standard trellis range shown below, or call us to discuss a made to measure option. Most customers need specific lengths and designs of trellis panels, heights of posts and bespoke fixings to work with their particular wall. 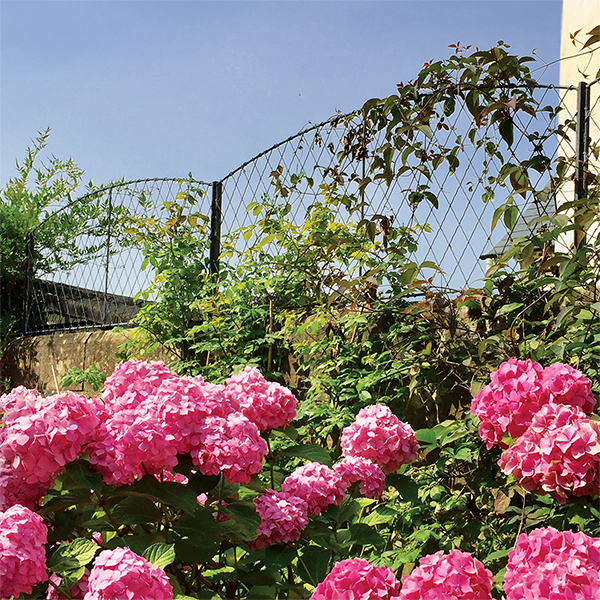 Choose from our range of wall top trellis panels to create your own scheme for privacy and plant support. Any size made to order. Wall Top Trellis panels are supported by top fixing or front fixing posts made from solid steel bar. 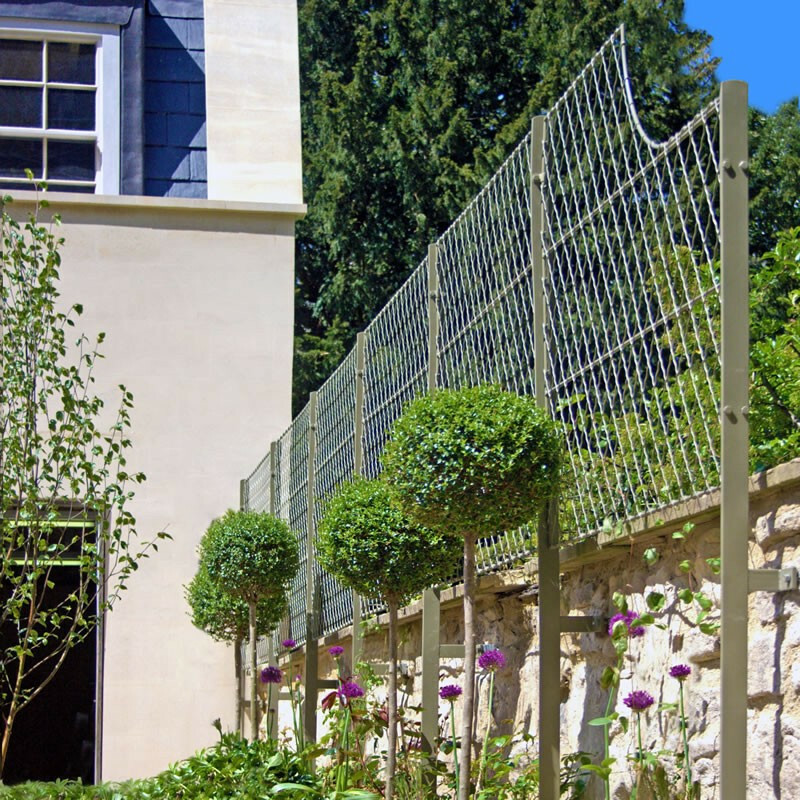 The trellis panels are available is the four standard designs shown above, but can all be made taller or wider to fit your particular requirements. Each post and panel is bolted together on site with the supplied fixings before fixing to your wall. 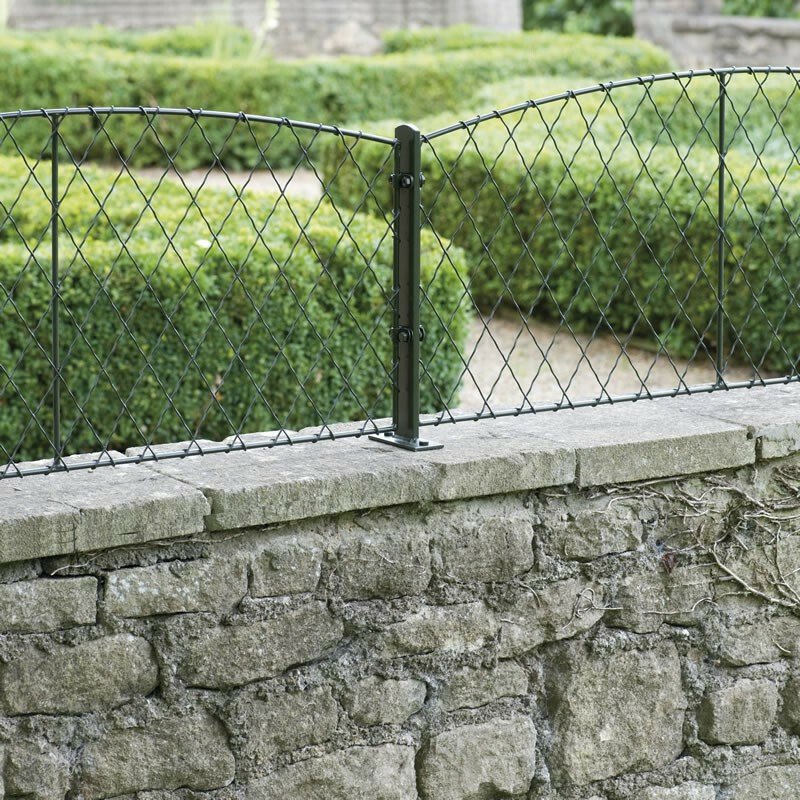 Standard top fixing posts have a flat 4”/100mm footplate, and front fixing posts have a pair of welded brackets for fixing to the wall face. 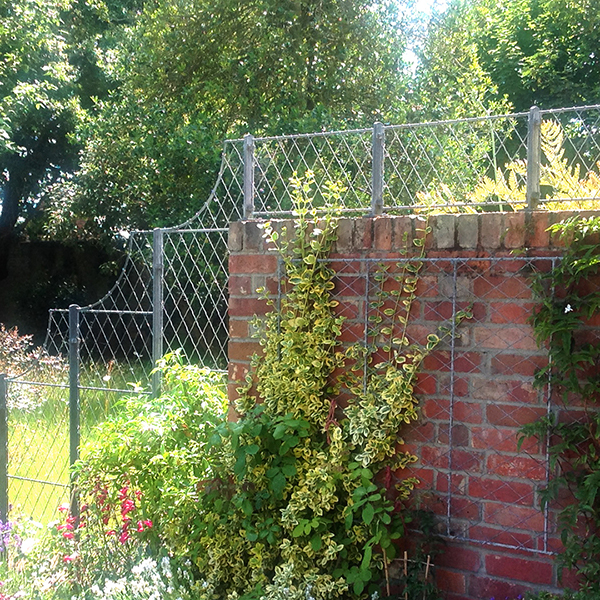 We’re really impressed with the fit and finish of our new trellis panels and posts. I love good quality and this delivered on all fronts, well done! 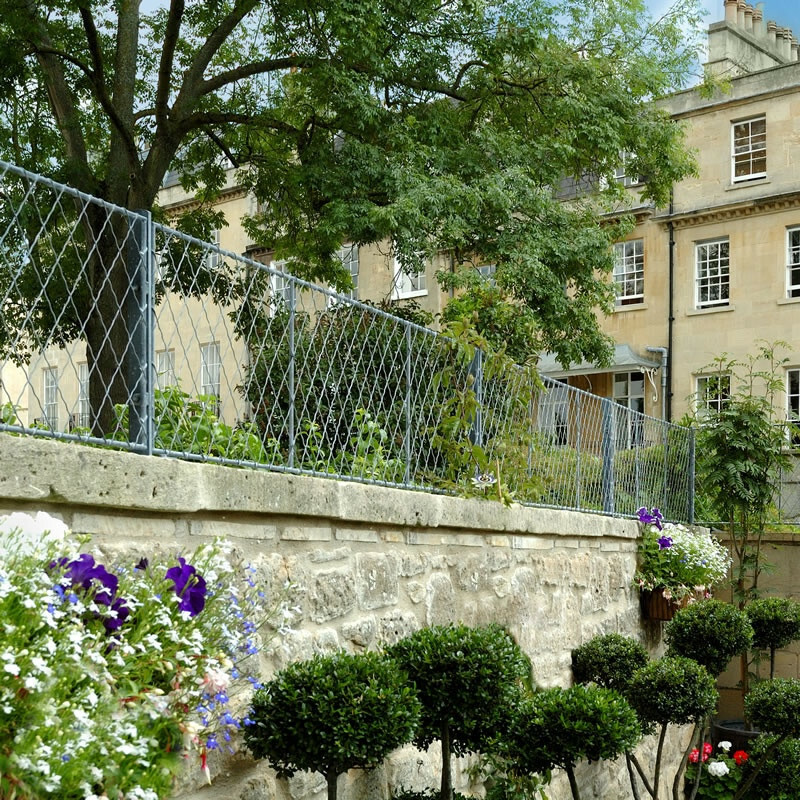 Every garden and boundary seem to present different challenges such as overhanging capping stones, a sloping or tiered design, varying heights or uneven ground level. We can accommodate almost any idiosyncrasies, and we’ll discuss all the details we need from you prior to providing a quotation. 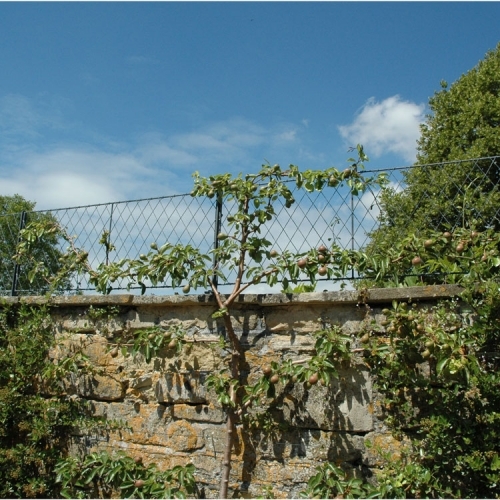 Along with any key dimensions, if you send us a few images of your wall, these will be very useful for us to understand your site conditions. The posts and panels will have all the necessary fixings ready for you or your builder/gardener to install. 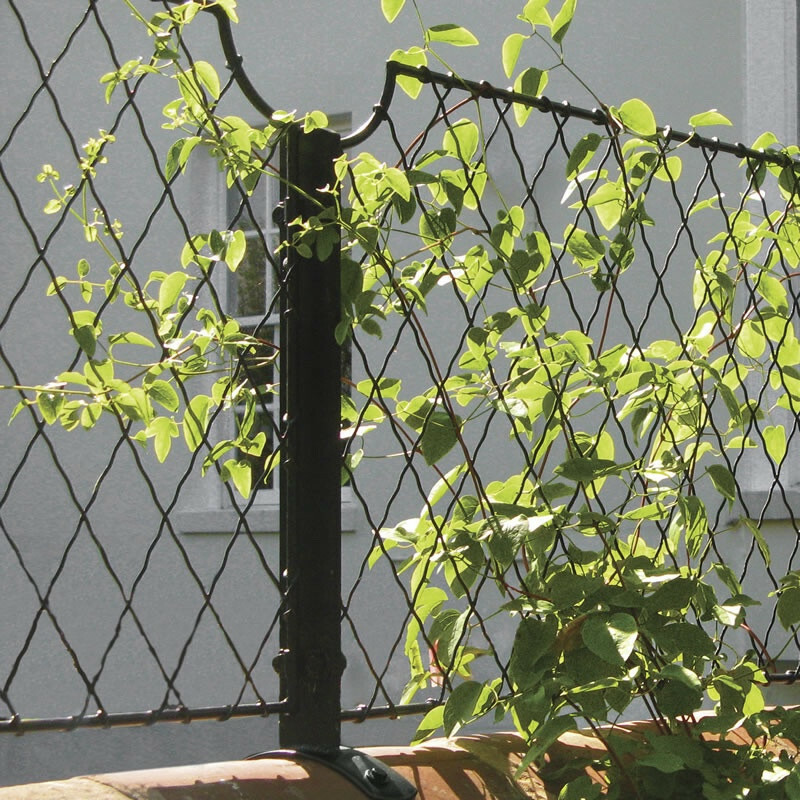 We suggest bolting the run of panels and posts together before offering it up onto the wall. Each scenario will be different, but generally, it’s best to set the whole job out in position first before you drill and fix anything in place. We provide the nuts and bolts for fitting the panels to the posts and the coachscrews and wallplugs for fixing the posts to the wall. 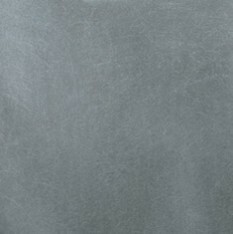 If in any doubt, always call us or an experienced installer. We can arrange delivery throughout the United Kingdom. We use an independent courier that offer next day delivery. From £24.50, the price will depend on the number of items and weight of your order; we’re happy to provide a quotation prior to placing your order. Once ready, we will contact you to arrange a convenient date for delivery.